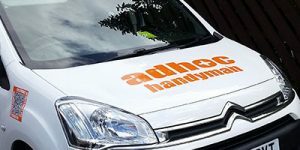 Adhochandyman offer laminate flooring installation in York be it for home owners, landlords or local businesses. Laminate flooring is durable and relatively cheap to buy and can dramatically transform a room. Many properties now benefit from the easy maintenance of Laminate flooring – as with professional installation and a little after care, the laminate will last many years. Laminate flooring comes in many styles and colours, from “shabby Chic” to rustic, there is a colour and style to suit any home. Laminate flooring can also be used in high footfall areas, such as hallways and entrances. Modern Laminate flooring does offer water resistant properties to ensure it is the perfect choice for areas where carpets will wear or become dirty quickly. AdhocHandyman can source, deliver and fit your Laminate flooring. For a no obligation laminate floor installation quote please contact us on 07878 256771 today. Laminate flooring is available in most flooring and DIY stores. It comes in a range of sizes, thicknesses, and finishes designed to enhance the feeling of a room. Most can be viewed online or in store. 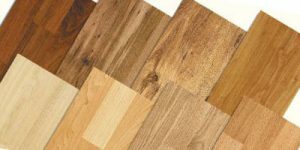 The main consideration when buying laminate flooring is the thickness of the boards and the suitability of the product for the chosen room. 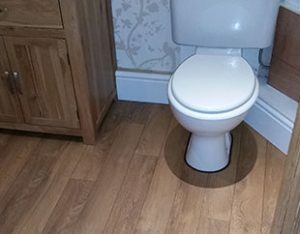 Some laminate is designed to be fitted in areas of moisture (note: not wet) such as bathrooms and kitchens but laminate must only be fitted in these rooms where the manufacturers instructions allow. Laminate not designed to be installed in these rooms will not last long. Laminate comes in a variety of thicknesses. 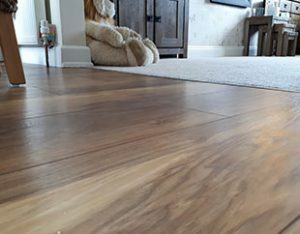 The cheaper end is the thinner Laminate (6mm) – this is generally poor quality – and I would recommend you avoid this cheaper laminate flooring. The thicker laminates which offer more durability and a better quality of floor are over 10mm thick – this is what I would recommend as the minimum thickness to ensure a good qulaity floor is achieved. Underlay is also a consideration as you may need a vapor barrier if laying on top of a concrete floor. 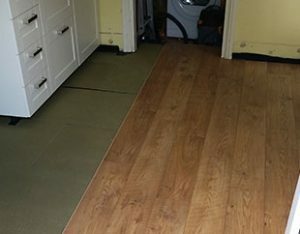 Like the flooring there is a choice of underlay and the right one will depend upon the laminate you buy and the flooring you are covering. 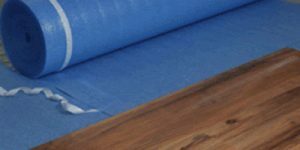 Should you need advice on the best laminate floor and underlay for your chosen room, please contact us – we are more than happy to help. Once you have bought your laminate flooring, we can collect this for you before fitting saving you the hassle of loading and unloading your car – its our service to you. A sample of the decking we have completed. To see more work, please visit our latest projects pages.